MANILA - Typhoon Ompong (Mangkhut) will bring rains over areas within its 1,010-kilometer diameter, an independent weather monitor said Friday. Ompong's size of circulation was estimated to be 1,010 kilometers, according to data published by Weather Philippines Foundation at 6:45 am. The typhoon, expected to barrel towards the Northern Isabela-Southern Cagayan where it will make landfall, will be weaker than Supertyphoon Yolanda (Haiyan), but it will still be catastrophic, said Mike Padua, senior typhoon specialist at the the agency. 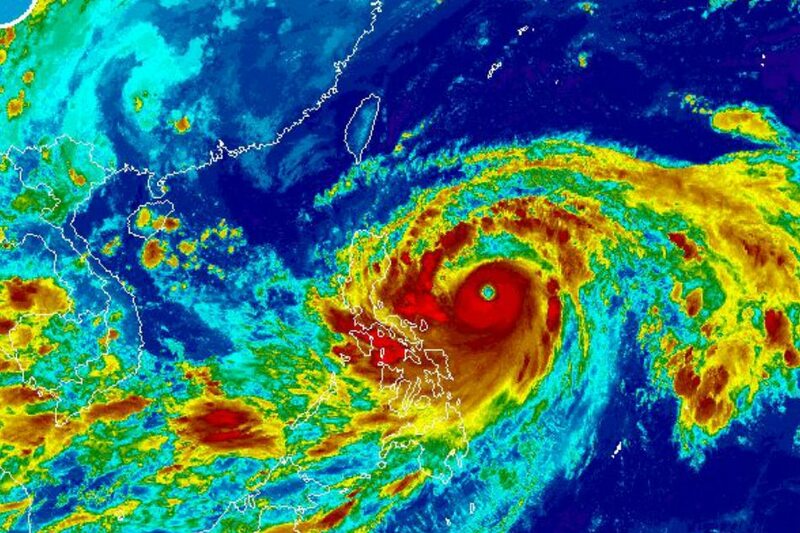 Ompong will be more comparable to supertyphoon Lawin (Haima) which also hit northern Luzon in October 2016, he told ANC's Headstart. Lawin killed at least 8 people in its wake. Estimates published early Friday by Weather Philippines say Ompong is packing maximum sustained winds of 260 kph near the center with gusts of 310 kph and is moving west-northwest at 19 kph. "When we use the winds of JTWC, 315 for Yolanda, but Ompong is right now 280. That’s still 20+ kph below, still weaker, but still catastrophic in terms of the intensity and strength of its winds that would be felt in Northern Luzon," he said. Padua said the mountain ranges at the eastern side of the Northern Luzon will somehow lessen the impact from Ompong. Residents can expect a "storm of 2 days, greatly damaging to their properties at times," said Padua, noting that while this may pass quickly, people should still be prepared. "Although it’s scary, it will just pass quickly in a span of one day. But as you saw in Yolanda, in Tacloban, the eyewall of Yolanda passed only 2 hours but the effects were so tremendous," he said. "If it’s 2 days, one day, even if it’s just one hour, we should be prepared for this kind of system," he added.